In a moving story of sacrifice and triumph, human scientists establish a relationship with intelligent lifeforms — the cheela — living on Dragon’s Egg, a neutron star where one Earth hour is equivalent to hundreds of their years. The cheela culturally evolve from savagery to the discovery of science, and for a brief time, men are their diligent teachers. Dr. Temple Grandin is an animal scientist, a professor at Colorado State University, and the author of The Autistic Brain. (She was also played by Claire Danes in the 2010 biopic Temple Grandin.) For her favorite, she sticks with one of the classics: Star Trek. She told HuffPo, “The one I’ve always liked the best was the one about the whales.” That, of course, would be Star Trek IV: The Voyage Home. “It had them coming to Earth and dressing up as Earth people. Some of the later movies haven’t been as good. 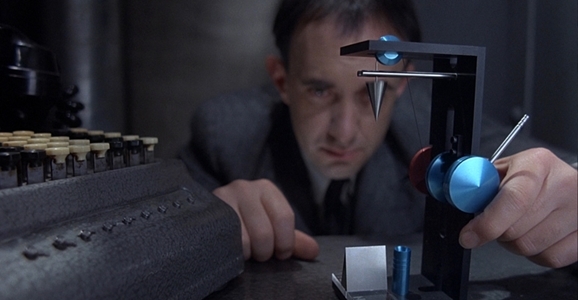 They’re going with too ‘whizz-bam’ special effects.” From your lips to Roberto Orci’s ears, Dr. Grandin. Stanislaw Lem wrote a short story, ‘Golem XIV,’ in the early 1980s that is my go-to reference when anyone asks me, ‘What will the aliens be like?’ No, they’re not short, hairless, gray guys — they’re intelligent machines. And while Lem wasn’t talking about aliens in his story, I figure that any extraterrestrials we ever detect really are likely to have moved on from biological brains to cybernetic cerebellums. 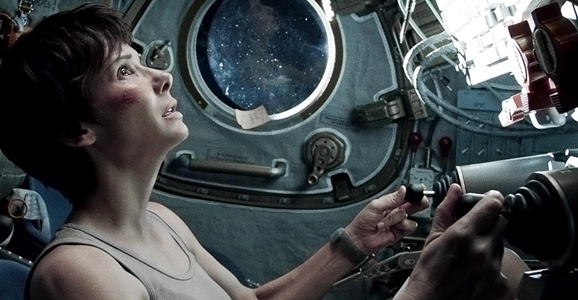 I was blown away by the stunning visual effects and three-dimensional-like movement. Plus, I am thankful that producers and writers cast a woman as an astronaut to bring science concerns to the forefront of American and international discussion… [Also] Back to The Future starring Michael J. Fox. Time travel in movies wasn’t uncommon before 1985, but the concept of building a ground propulsion machine from a DeLorean car inspired me to investigate aerospace engineering. Biologist Dr. Danielle Lee is the author of Scientific American’s “Urban Scientist” blog, and a fan of Dune. “The old one with Sting,” she clarifies. “I love that movie with its messages of imperialism, environmental conservation, and social justice. ‘The Spice must flow. The Spice must flow! '” Be honest, Doc: it’s that scene with Sting in the metal thong that has you hooked, isn’t it? My favorite sci-fi film is the 1951 The Day the Earth Stood Still, a Christ allegory in which an alien named Klaatu (who takes the name ‘Mr. Carpenter’ while visiting Earth) admonishes humans for threatening nuclear annihilation and insists that they will not be allowed to join the planetary community as long as they retain nuclear weapons. Three books of my childhood probably had the greatest impact on my life. The Story of Doctor Dolittle (by Hugh Lofting) and Tarzan of the Apes (by Edgar Rice Burroughs) inspired me to understand what animals were trying to tell us and instilled within me an equally strong determination to travel to Africa, live with animals, and write books about them. ‘The Miracle of Life’ was a large book my grandmother got for free by saving up coupons from cereal packets. It was by no means a book intended for children. Thank you SO Much ! I have been trying to remember the name of this wonderful Sci Fi book I read sometime ago. It had a Super Climax. 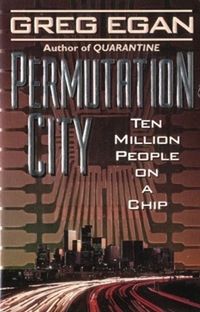 Have been wanting to re-read for So Long… Permutation City -Greg Egan – Ya !